Ruttya fruticosa lutea is a member of the Acanthaceae family and is native to Tropical East Africa. ‘Yellow Dragon’ is fairly rare vining shrub that can grow to 3.5 metres and has leathery evergreen foliage and is bushy in its growth habit. 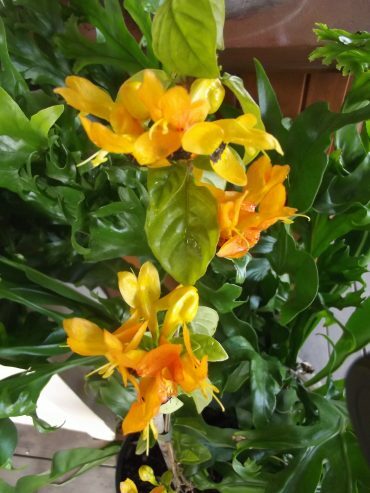 The flowers are very unusual yellow – golden in colour with brown spots. The shaped is swept back and is similar to the head and ears of a rabbit. 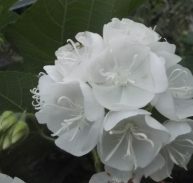 They appear in winter –spring and will flower year round in mild climates. 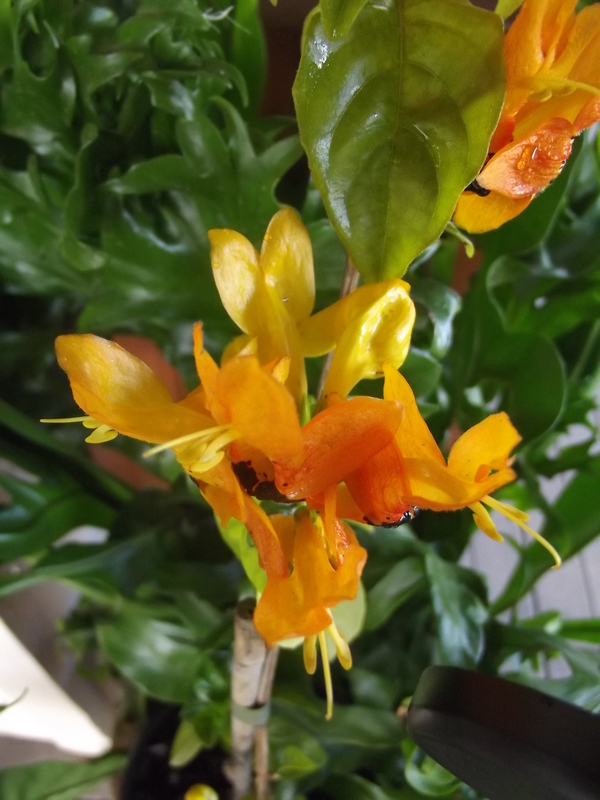 The flowers have a frontal lip that drips nectar therefore attracting honey eating birds and also butterfly’s. It will grow well in most soils, well drained but moisture retentive. It likes full sun and some light shade.